New York is a colorful city with an abundance of equally colorful restaurants, perfect for immortalizing on Instagram. 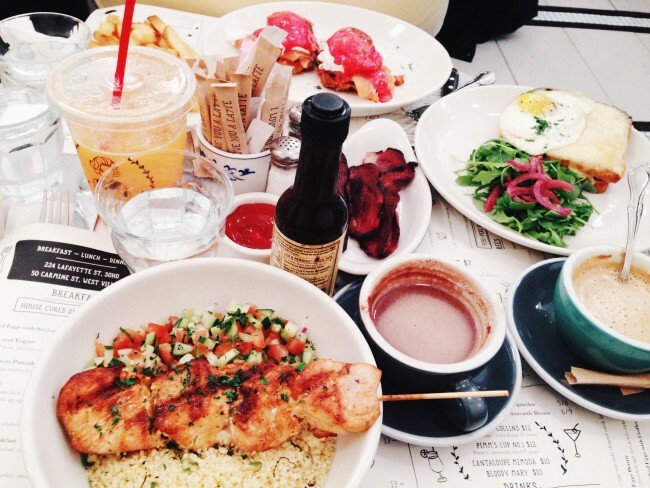 We profile 10 Insta-famous spots in New York City for good food with good looks. Searching for a delicious brunch spot with a trendy coffee shop vibe? 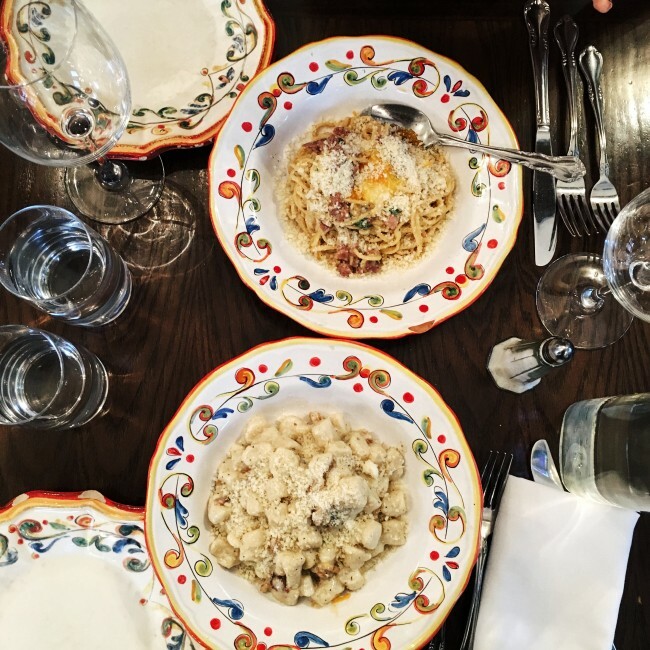 Look no further than this little Italian bistro in the East Village. 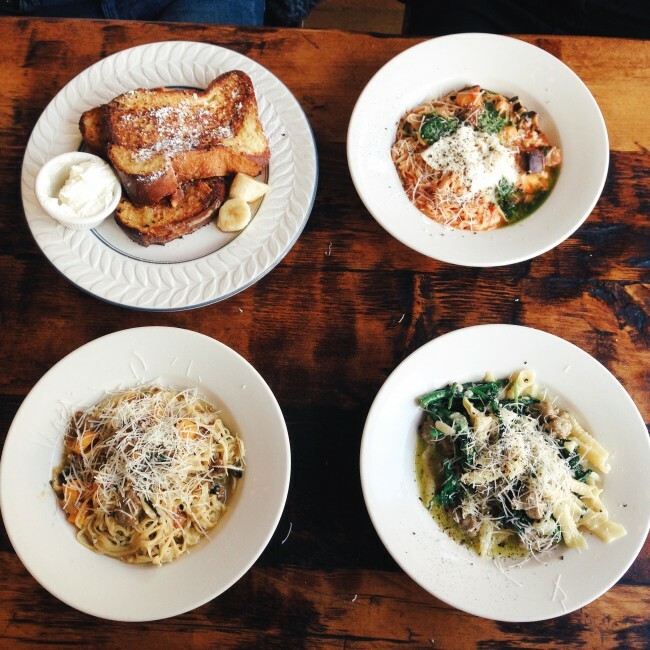 From handmade pastas and pizzas to crunchy paninis, San Marzano is an ideal place for brunch lovers who want to enjoy their favorite Sunday meal without breaking the bank. The rustic interior of Olio e Piú is reminiscent of a charming waterfront restaurant in southern Italy. The warm light that comes through their large window harmonizes perfectly with the color palette of their food, from Neapolitan pizza to pasta. Flavorful food and warm lighting make Taboonette a cozy local favorite. An authentic Middle Eastern restaurant located near Union Square, Taboonette serves particularly irresistible chicken shawarma; the traditionally prepared yellow rice served with a chicken kebab and special spicy green sauce will turn you into an instant regular. Originally sited in Nolita, Café Gitane opened a second location at the Jane Hotel. The French–Moroccan vibe is both atmospheric and relaxed, pairing excellently with dishes such as smooth avocado toast. Add in a colorful Hudson River sunset, and you have a truly hypnotizing dining experience. 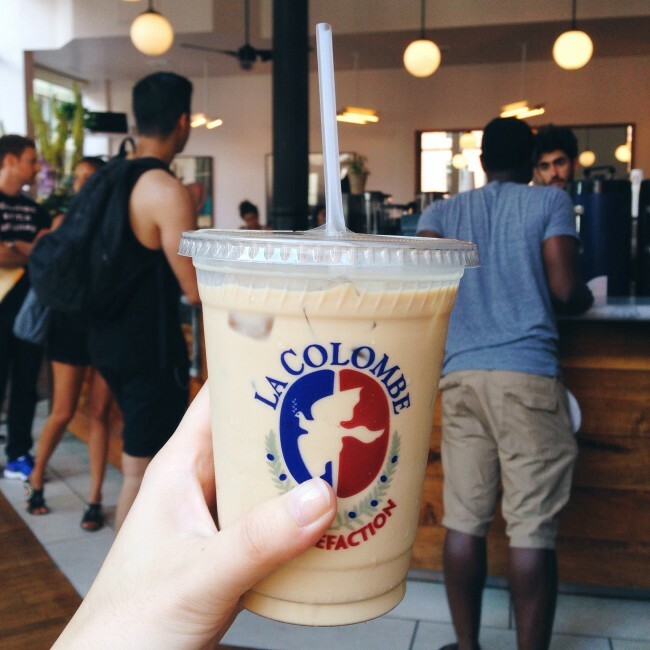 While its origins are in Philadelphia, La Colombe Torrefaction now provides New York City-dwellers with beautifully roasted coffee and ample freelancing space. During the summer months, you can sit outside and work, people-watch, or chat with your friends while you sip an ice cold Americano from one of their signature cups. Shake Shack has been one of New York City’s signature burger joints for years. 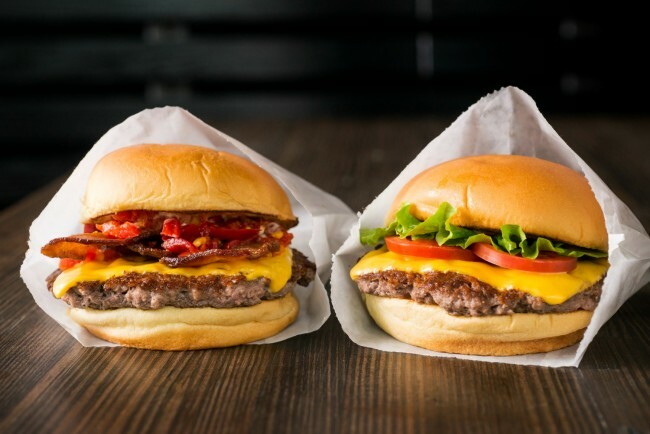 Stuffed with smoked bacon, fresh lettuce, and rich cheddar cheese, Shake Shack burgers are rich in both color and taste. Paired with crispy fries and a chocolate milk shake, you’re sure to capture some rather glorious new photographs for your Instagram feed. Foodies travel far and wide to Egg Shop for a taste of their signature egg salad and soft avocado toast. This brunch spot’s clean and simple interior is perfect for those culinary glamour shots, as the sleek décor serves as an ideal backdrop for the delicious food. Each dish is prepared with premium organic eggs, perfectly assembled into sandwiches for eager customers and photographers alike. Who doesn’t like a cool brunch spot in New York City? Jack’s Wife Freda is a hospitable hangout for anyone in the market for a relaxed meal. The portions are huge, the hot chocolate is rich, and the vibe is simply fabulous. The restaurant’s lively atmosphere and fresh ingredients are camera-ready. When two people who genuinely love food partner up, you get amazing results. Duo Chloe Coscarelli and Samantha Wasser created by CHLOE., an Instagram-worthy brunch spot on the corner of Bleecker Street. The menu is 100 percent vegan, but at by CHLOE., healthy is both beautiful and satisfying. Smorgasburg is a seasonal, Williamsburg-based Saturday flea market dedicated entirely to food. Find both packaged and ready-made goods, from savory takoyaki balls to ramen burgers and homemade gelato. Get your taste buds and your camera ready; stunning NYC views, natural sunlight, and artisan food is calling.